Colin Berresford - Was there an accident at Bestwood around 1898 that killed my G G Grandfather Samuel Berresford? Judi - John Hall Gaskell Died Bestwood Pit 1940 - Any Information? I am trying to find something out about a chap called Walker [I am sorry I don't know his first name]. He was active in the union at Bestwood later moving to a place called Corringham. I do know that he used to attend union meetings in London in the early 1900's. Was there an accident at Bestwood around 1898 that killed my Great, Great Grandfather Samuel Berresford? Just came across this site. Fascinating stuff which I don't have time to read too deeply at present as I'm supposed to be working! My Great, Great Grandfather Samuel Berresford, (1847-1898) who was originally from Crich in Derbyshire, moved his family from Unstone Green, Chesterfield, to the then recently sunk Bestwood Colliery, sometime around 1870-80. He is buried in St Marks churchyard in the village, His son John, grandson Arthur and great grandson Wilf (my Dad) were all raised in Park Road in the village. Arthur later kept the Bestwood Hotel, which I'm told was sometimes used as a morgue, and for inquests, after accidents in the colliery. I spent many a happy hour in the Bestwood Hotel during the 1950s and 60s and as a small child I especially loved watching the little steam engines working in the pit yard. The view from the upstairs living quarters at the back of the pub was ideal. My dad passed on in 1976, largely from 'the dust'. I went on to do a brief stint as an apprentice fitter for the NCB, before joining the Coal Board laboratories at Cinderhill for a couple of years. Most of the men in the family worked in the local pits at some point. I've heard vague reports of a big accident of some sort at Bestwood around 1898. This would coincide with the death of Samuel Berresford at the relatively young age of 51 and I've often wondered if he might have been involved, but can find no evidence. I have lived in Merseyside for the last 40+ years and now only visit Nottingham a few times a year, which makes researching a little more difficult. However, I'm determined to find out how Samuel died. May just have been natural causes. I also want to trace him back beyond Crich. I would hope to place his ancestors in the Beresford Dale/Alstonefield area on the Derbyshire/Staffordshire border, which is apparently the seat of Berresfordism. I visited the restored headstocks at Bestwood last year. They look very good, but the area around has changed so much as to make it almost impossible to visualise what it was like as a working pit. I remember my Dad taking me into the winding house when I was maybe 8-10 years old. I found it very scary at the time. I'll try to write more when I have more time. Further to my email 9 Jan 2005, (see below, along with reply from Alan Beales) I was wonder if you have any knowledge of a pit accident at Bestwood Colliery in Nottinghamshire round about 1913 resulting in the death of a man called Wood. We are not sure of his forename(s) but his initials could be J.H or S.
I am afraid I can not find anything relevant either. I tried Ian Winstanley's Site and got the following fatalities for 1890 - 1915 at Bestwood. Click On The Name to go to Ian's site. Info on colliery accident. Nottinghamshire. I wonder if you have any knowledge of a pit accident at Bestwood Colliery in Nottinghamshire round about 1913 resulting in the death of a man called Wood. We are not sure of his forename(s) but his initials could be J.H or S. Kind regards. In reply to John Watts the only fatality to any one named Wood in 1913 was George Alfred Wood aged 32 killed Babbington pit 25/6/1913. I am researching colliery deaths in Nottinghamshire and currently have around 1600 names. John Hall Gaskell Died Bestwood Pit 1940 - Any Information? I wonder if you could please help me? 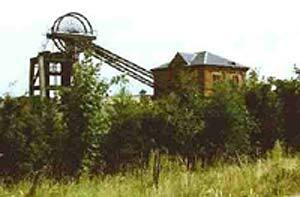 It was in 1940 that John died in a tragic mining accident at the Bestwood Pit. On the day of Johns death, John had been working as normal underground at Bestwood Pit, he had finished his shift & the machinery had been turned off, It was as he and a co worker were leaving for the night that they heard the machinery restart & John went back to investigate. Due to the War Time blackout there were no lights to help John see to investigate the machinery, and John fell into the Creeper a moving mechanical steel conveyor, John sadly lost his life. John was buried at Bulwell Cemetery at the top of Hempshill Lane a stones throw from the family house. On the morning of Johns death his children had watched him awaiting the Pit bus in Bulwell High St, Granville Gaskell "Derrick & I saw dad squatting waiting for the Pit Bus in Bulwell market place, as we went to the allotment to collect some vegetables from his allotment"
Story also confirmed by his son Jack. Please could you tell me if there was any newspaper coverage of this accident or indeed a coroners report. Perhaps someone might have memories of John Gaskell and his family. I am Looking for Any old photographs of Bestwood pit, its railways etc or information on the above pit, or if you could point me in the right direction. Not doing too badly. I have failed on the Bentinck Engine and the only reference to anything preserved is your site’s reference to the sale of the wheels. Presumably to the Apedale Heritage Centre there. Their website is actually pretty naff. Too little information on what they have got in their collection to make you think “I want to see that” and go on a visit. However I think the preserved engine they probably mean is the surviving one at Bestwood. Various references found on websites of that engine (Site now moved or gone). That one is to the Council information so probably a good place to start. Newcomen Society have a mini-Conference in Nottingham in July so it ties in with the request for information on visiting. Hope this helps. Can anyone help with details of a supposed accident at Bestwood Colliery 1911 to 1912 in which my Grandfather William Grainger was killed. I hope you don’t mind me emailing you – I came across your website because I am trying to find out more about my great grandfather – Walter Cook. My aunt told me that he invented a safety brake which she thought was for trains. But the only likely Walter Cook I can find on censuses was a mechanic at Bestwood Colliery outside Nottingham. But that’s all I have found so far – I don’t know whether you can help at all – I thought you might have some ideas about where to find colliery records for example.